macOS Mojave out today! — Welcome to the GameSalad forum! 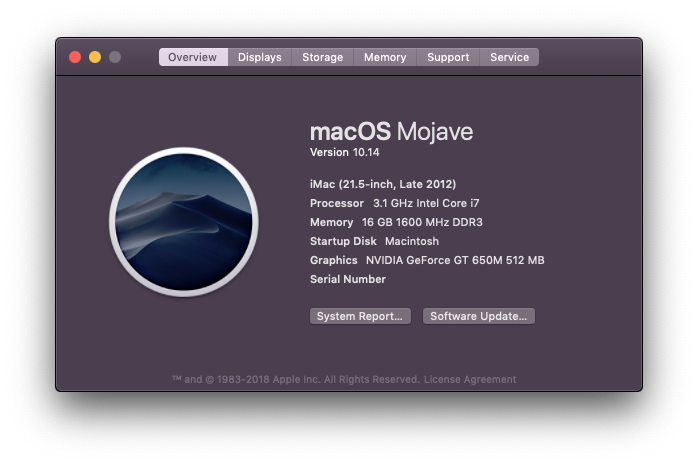 I'm happy to report GameSalad runs well in (10.14) macOS Mojave. Any chance of the client offering a dark mode to match the now system wide ability? Sounds like 'No' to me. Looks amazing I need to update my macs !! How deep have you tested this @RowdyPants What version of Creator are you using and what Mac are you running? As far as testing, I've done the following successfully. By the way, splitting a fullscreen Creator window with another fullscreen app works well.